yikes! 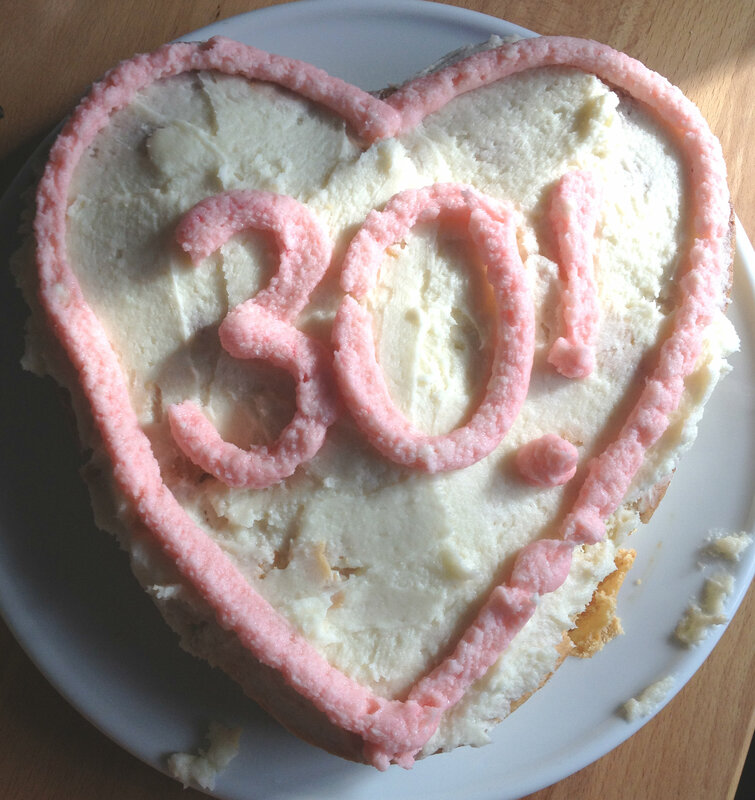 the chef turned 30 this weekend! 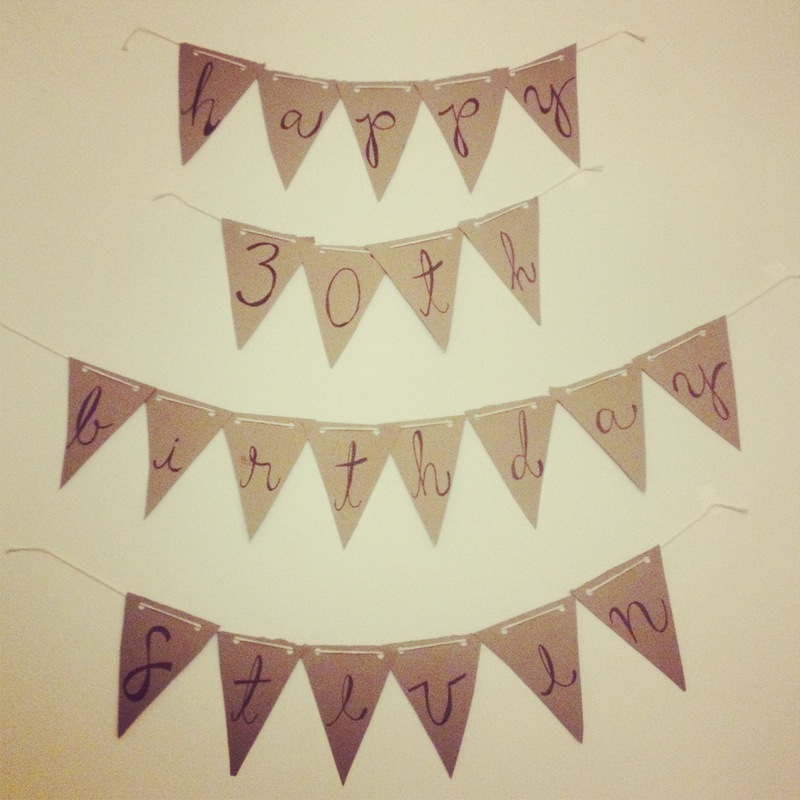 i successfully pulled off a surprise party with his closest friends; that was the easy part. the hard part was baking the cake. it couldn’t be from a box. he’s a chef, for cryin’ out loud. so i rolled up my sleeves and found the best recipes on the internet (i’m still getting the hang of the kitchen, you guys. i can’t make up a cake recipe on my own). i wasn’t planning on sharing this — i took these pictures to send to his mom, who was just happy he didn’t have to make his own birthday cake this year — but all these recipes were really simple and super delicious, and ended up being totally share-worthy. especially the chocolate cake. if you try any of these, try that one. trust me! first up, the one bowl chocolate cake. i altered this one a little bit. we only had butter milk, which you can use in place of regular milk if you add half a teaspoon of baking soda per cup (thanks, google!). my only suggestion for this cake is to make sure it really cools for a long time before you take it out of the pan. 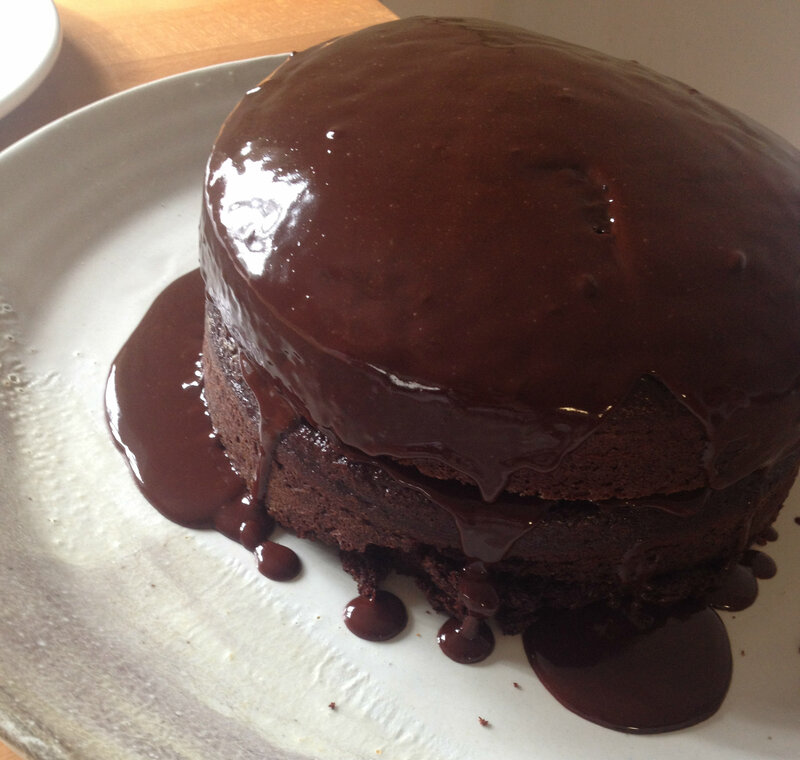 here’s the chocolate ganache recipe i used. we didn’t have bittersweet chocolate, so i used semisweet. it was yummy. the white cake recipe was easy enough. the top got really crispy after cooling. the vanilla buttercream never got smooth for me; it was pretty gritty. for the pink, i put some into a small ziplock bag with a drop of red food coloring and cut the corner to squeeze it out. got a little lazy with the pineapple upside down cake and used a box for the cake mix. i also cut the butter and brown sugar in half and it was still great so i can’t imagine how sugary it would have been with the whole amount. 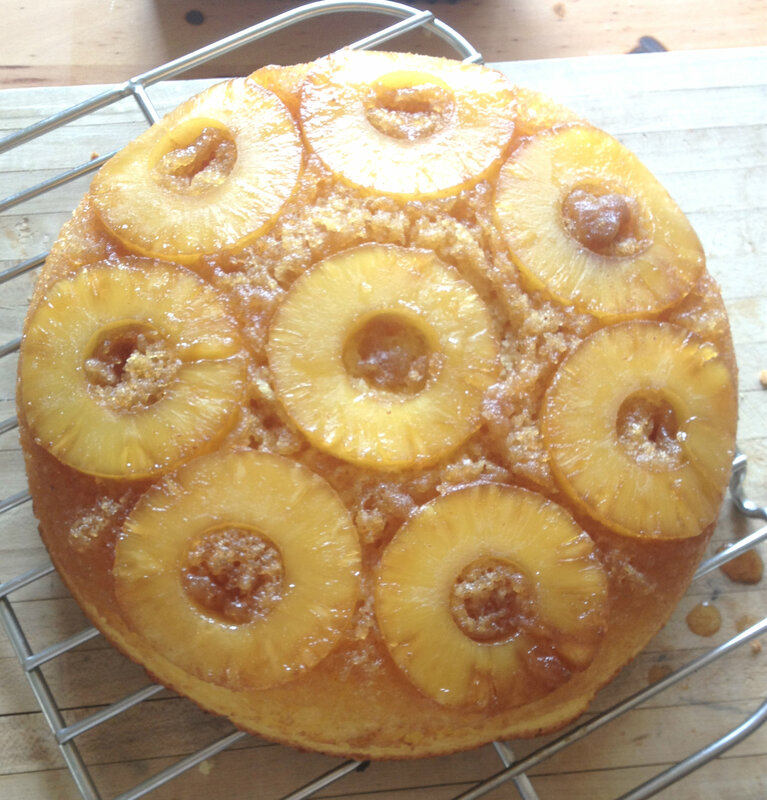 it was the first time i’d ever made pineapple upside down cake in a cast iron skillet and i really think it made it better.